Bowie is an amazing redstone expert and has an eye for detail! You will often see him in game looking for amazing builds to share on our Facebook page. 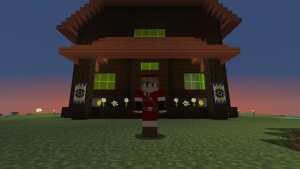 When the Redstone Academy is running, he spends his weekends evaluating each of the redstone creations that the students turn in. He is a valuable asset to both our media team and our grading team.